Tim Donnelly specialises in children law. In public law, Tim receives regular instructions from local authorities and acts on behalf of family members and children’s guardians. He has a particular interest in cases involving complex medical evidence (including suspicious death, factitious and induced illness, shaking and sexual abuse) and cultural/religious issues. 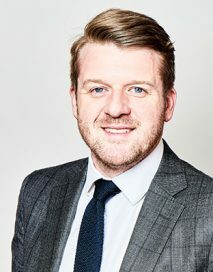 In private law, Tim acts for adult family members and children (by their guardians) across the spectrum of private law disputes including child arrangements (residence, contact), child abduction and removal from the jurisdiction. Tim also provides advice and representation for local authorities and family members involved in proceedings regarding forced marriage or ‘honour violence’.